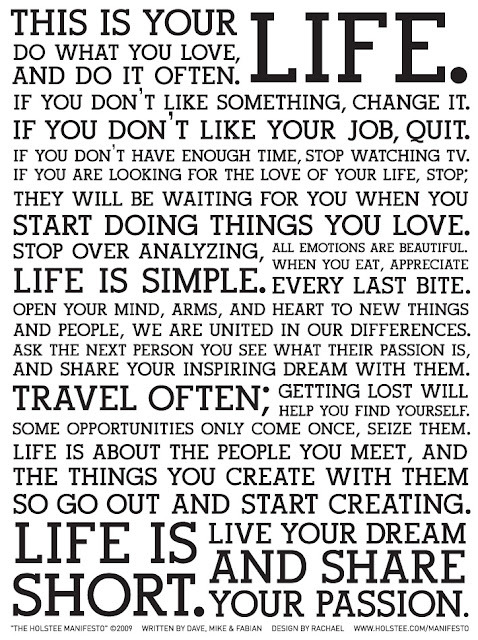 I came across this manifesto in an inspiring blog that I love to read, http://www.brainpickings.org/. 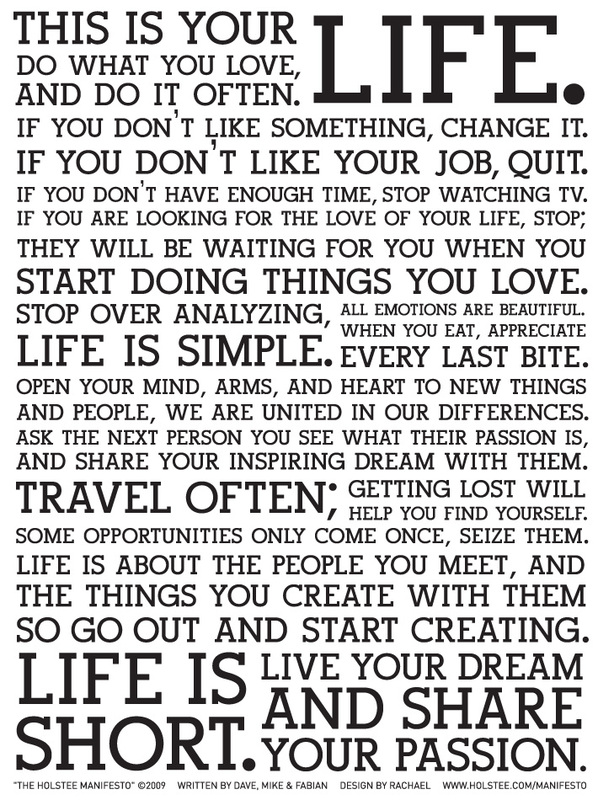 This Holstee manifesto was part of an article titled "How To Find Your Purpose And Do What You Love." If you are looking for creative inspiration, look nowhere else. Read this article and post this manifesto on the wall by your writing table.